Cold Weather? No Problem! Have a Hot Time in a Hot Tub! Cold weather doesn’t mean you can’t enjoy your spa! 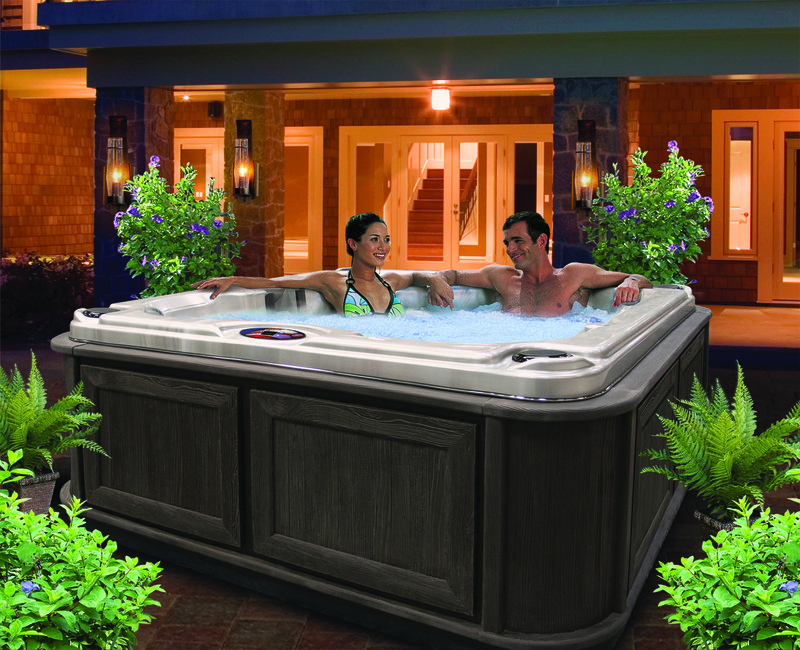 In fact, some people prefer enjoying their hot tub when the weather is cold! Now that Winter is here, you’ll be in a great position to appreciate being in warm water while the air outside is cold! Try enjoying your favorite wine, champagne, drink, or even just hot chocolate in a spa! You’ll be warm and toasty on the inside and on the outside too! Snuggle up with your loved ones in the spa and enjoy the Winter weather! If it happens to snow, then enjoy the wonderful view and the Winter magic as the snow falls. For holiday parties, be sure to keep the spa warmed up in case someone wants to take a dip! Why not through an ugly Christmas sweater party and have the winner get in the spa? The possibilities are endless!